Luminaria Sanctuary Creation Meditation Celebration! PLEASE CONTACT 509-427-4277 or luminariasanctuary@gmail.com FOR DIRECTIONS! 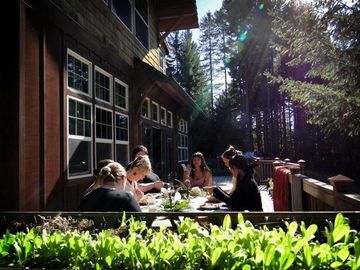 We are hosting a celebratory gathering at Luminaria Sanctuary in the Columbia Gorge to build community, have fun, get creative, connect with each other and the earth, and get our hands on real projects that might help inspire creative reuse and recycling of materials in sustainable ways. We are not waiting around for things to change; we're being the change now! Location is private, please email luminariasanctuary@gmail.com or call 509-427-4277 for directions if you are planning on coming! Thank you for understanding! 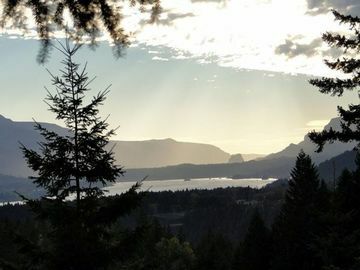 Plan 50 min driving from PDX/Vancouver, 20 min from Hood River. We will experiment with building a greenhouse out of entirely recycled and reused materials (oh boy! ), building raised garden beds, creating some recycled art projects and possibly furniture, helping reduce fire hazards on the land, making brooms for Halloween out of scotch broom, enjoying a potluck, movie, music and maybe even dancing, drumming and a bonfire if weather and vibe/flow permit. Open to anyone who wants to get in on community "being" sustainable now. Bring your ideas, toys, music-making instruments, yummy foodstuffs, dreams, stories, tools, and joy! Overnight stays are welcome - Camping is available and retreat rooms at the sanctuary are available at a major discount. Rideshares from Portland encouraged. 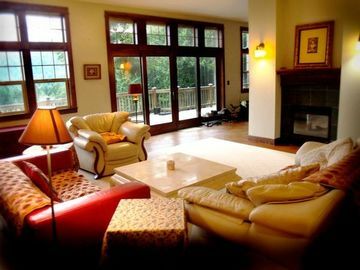 Luminaria Sanctuary is a private retreat home focused on whole-istic sustainability, nestled on 10 acres of wildlife sanctuary overlooking the Columbia, surrounded by national forest. It is the dream child of community members who contribute their love, inspiration, support and skills in honor of creating a more conscious, more sustainable, more satisfying life. It is non-denominational and welcoming. Luminaria Sanctuary is in the process of becoming a non-profit. Check out www.luminariasanctuary.com to learn more. The Leaning Tower of Luminaria Toppled!